First-year Mariners Minor League Director Chris Gwynn is happy with the progress of the 2012 Jackson Generals. 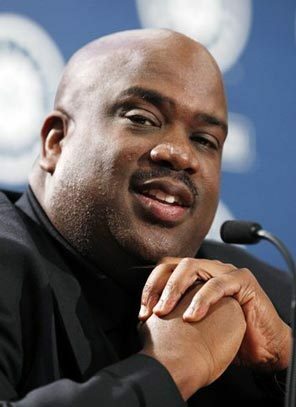 Gwynn was hired by Mariners GM Jack Zduriencik on Nov. 1, 2011. Previously, he was the Director of Player Personnel for the San Diego Padres in 2010 and 2011, capping a 15-year run in the Padres baseball operations department. Chris, the brother of Hall-of-Famer Tony Gwynn, played in the Major Leagues with the Padres, Dodgers and Royals after being the 10th overall selection of the Dodgers in the 1985 draft out of San Diego State. Gwynn makes periodic visits to the affiliates throughout the Mariners’ organization checking on progress and player development. Gwynn was in Jackson during the Generals’ previous series with the Tennessee Smokies. Gwynn has inherited one of the most coveted Minor League systems in baseball, and it has been a challenging process the first few months on the job to learn the personnel. The Generals are 17-8 on the season and leading the Southern League North Division by three games. Currently, the 17 wins are the second-most in all of minor league baseball. Gwynn works closely with Mariners General Manager Jack Zduriencik dealing with player personnel. Zduriencik is credited with helping to re-stock the Brewers minor league system through the draft as a member of the front office in Milwaukee before coming to Seattle in 2008. Zduriencik understands the importance of building a franchise from within. “(Zduriencik) has let me do a lot of the things that I wanted to do when I came in which is making sure the players have a road map as far as getting better,” said Gwynn. As Minor League Director, Gwynn, along with Zduriencik will make decisions on movement with some of these talented Generals players. Taijuan Walker is 3-0, with the second-best ERA in the Southern League at 1.64. Danny Hultzen has the fifth-best ERA in the league at 2.08 and James Paxton ranks fourth with a team-best 31 strikeouts. 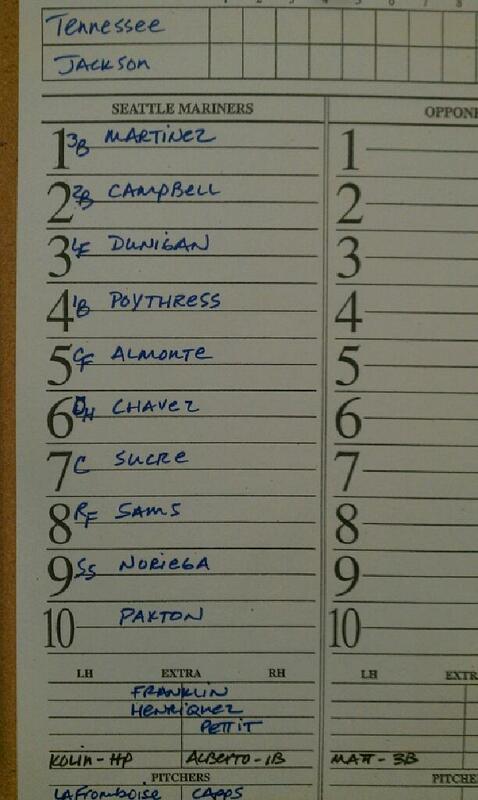 Relievers such as Carter Capps, Stephen Pryor, Brian Moran and Moises Hernandez are off to great starts as well. “We have had nice discussions on why they are here and how they are going to move from here. Those ingredients are to work hard, prepare and try to execute,” Gwynn replied. This Generals team is not a normal minor league squad with four top 100 prospects in baseball and ranked at the beginning of the season by Baseball America as the most talented minor league club. Gwynn wants to keep these talented young Mariners accountable. 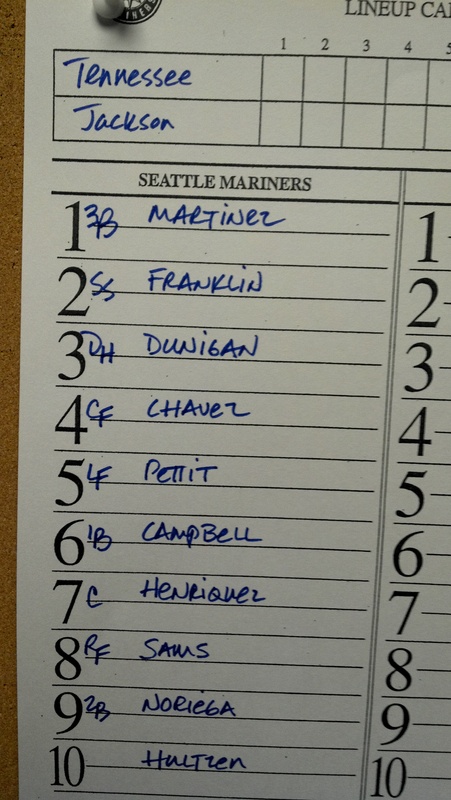 Many current Generals are considered to be a big part of the future of the Mariners franchise. Keeping them together and playing for same team as opposed to different levels is important. The Generals are on pace for 97 wins this season, which is a bit premature to even speculate knowing how movement and promotions occur in minor league baseball. I asked Gwynn if it were possible to keep this squad together for the entire season. The Generals are traveling to Pensacola today on the first day off of the season. The Generals open a five-game series tomorrow night at Blue Wahoos Park, located right on the coast of Pensacola Bay. First pitch is set for 7:00 p.m.
TODAY’S GAME: This afternoon the Generals look for their first series sweep of the season against the Tennessee Smokies and a seventh straight win.The Generals are 11-3 at Pringles Park this season. RACKING UP THE WINS:The Generals are T-2nd in all of minor league baseball with 17 wins. Only the Florida State League’s St. Lucie Mets have more at 18-4, The Dunedin Blue Jays (17-5), Midwest League’s Lansing Lugnuts (17-6), PCL’s Fresno Grizzlies (17-6), and Omaha Storm Chasers (17-6) have 17 wins. 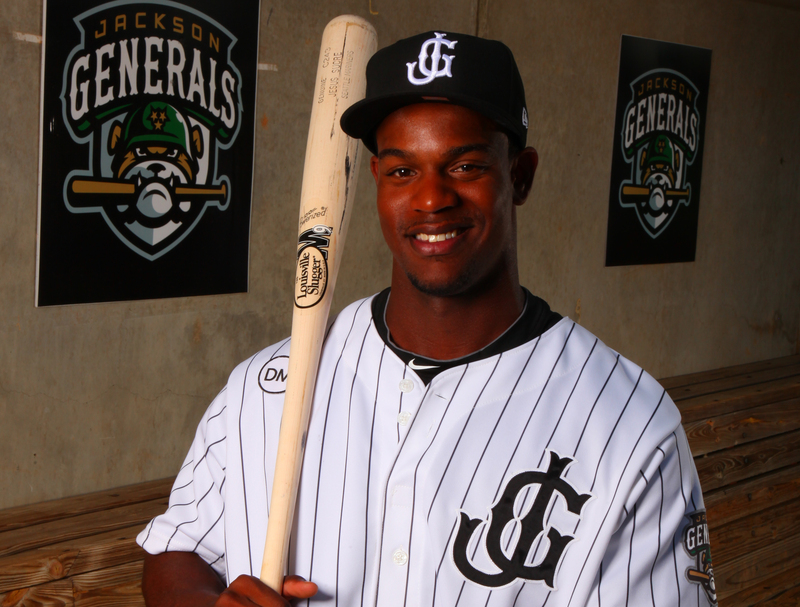 GENERALS RECAP: RF Joherymn Chavez went 4×4 with 2 runs scored, 1 double, 1 home run and 2 RBI to lead the Generals won their 6th straight with a 6-4 win over Tennessee on Saturday night. DH Joe Dunigan (3×4, 3 R, 2B, HR, 2 RBI) added a 3×4 with his league leading 7th home run and 2 RBI. Starter Brandon Mauer (5.0,6,3,3,3,3) allowed 3 runs on 6 hits in 5.0 innings to pick up his 1st win of the season. LH Brian Moran allowed only 1 hit in 1.2 scoreless innings to extend his scoreless streak to 11.2 innings to begin the season. RH Stephen Pryor (1.2,1,0,0,1,0) recorded the last 5 outs to pick up his 6th save of the season. WHO’S HOT? : Joe Dunigan has hit in each of his last 4 games, batting .438 (7×16) with 6 runs scored, 3 doubles, 2 home runs and 4 RBI. Chris Pettit has hit safely in 5 straight games, batting .368 (7×19) with 3 runs scored, 3 doubles, 1 triple and 3 RBI. Denny Almonte went 0x4 yesterday ending his hitting streak at 9 games, but has hit safely in 12 of his last 15 games. During the last 15 games he isbatting .414 (24×58) with 8 runs scored, 3 doubles, 6 home runs and 13 RBI. During this stretch he has raised his season average from .179 to .358. Rich Poythress went 0x4 yesterday ending his hitting streak at 11 games. During the streak he hit .381 (16×42) with 9 runs scored, 5 doubles, 1 home run and 10 RBI. LH Brian Moran (11.2) and RH Moises Hernandez (9.0) have yet to allow a run this season. 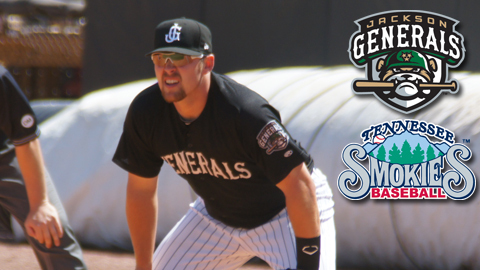 TODAY’S GAME: Today the Generals look to extend their season long winning streak to six games in game four of the current five-game series with the Tennessee Smokies. The Generals have already clinched their fifth straight series to start the year by taking the first three of the current series. The Generals lead the season series with Tennessee, 6-2. 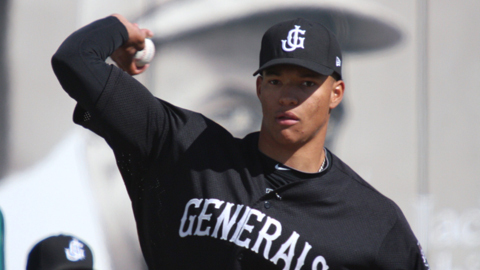 GENERALS RECAP: – RH Taijuan Walker (6.0,6,0,0,1,5) allowed 6 hits and struck out 5 batters in 6.0 scoreless innings to help Jackson to a 3-0 victory over Tennessee on Friday night. RH Moises Hernandez (0.2,2,0,0,0,0), LH Bobby LaFromboise (1.1,0,0,0,0,2), and RH Carter Capps (1.0,0,0,0,0,1) combined with Walker to record the Generals 3rd shutout this season. DH Joe Dunigan (1×4, R, 2B, RBI), 1B Rich Poythress (2×3, R, RBI) and CF Denny Almonte (1×3, RBI) each recorded a RBI in the Generals 3-run 6th inning. The win extended Jackson’s winning streak to five games and helps maintain a 4-game lead in the North Division. WHO’S HOT? : In 4 starts this season, Taijuan Walker is 3-0 with a 1.64 ERA (4 ER, 22.0 IP). He has limited opponents to a .203 (16×86) average, while walking 6 and striking out 26. Denny Almonte currently has a 9-game hit streak, while also hitting safely in 12 of his last 14 games. During the last 14 games he is batting .452 (24×53) with 8 runs scored, 3 doubles, 6 home runs and 13 RBI. During this stretch he has raised his season average from .179 to .358. Rich Poythress extended his hit streak to 11 games, batting .381 (16×42) with 9 runs scored, 5 doubles, 1 home run and 10 RBI. LH Brian Moran (10.0) and RH Moises Hernandez (9.0) have yet to allow a run this season. TODAY’S GAME: Jackson looks for a season best fifth straight win tonight in game three of the five-game series with the Tennessee Smokies at Pringles Park. The Generals lead the series, 2-0 and the season series, 5-2. The Generals will meet the Smokies a total of 24 times this season with 10 games at Pringles Park. 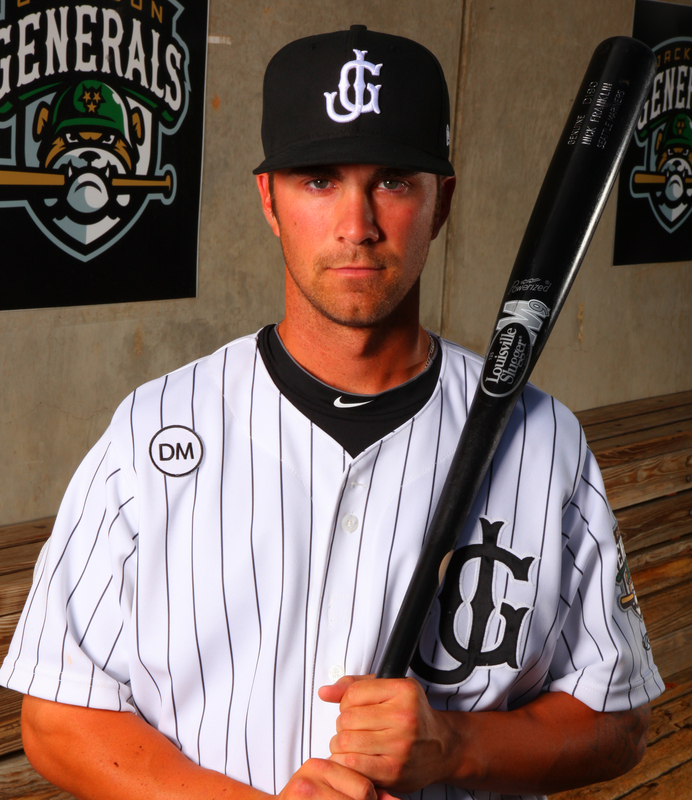 GENERALS RECAP: – LH James Paxton allowed an unearned run on 3 hits while striking out 9 batters in Jackson’s 7-2 win over Tennessee on Thursday night. Paxton earned his 2nd win and RH Steven Hensley tossed the final 3.0 innings, allowing 1 run on 2 hits and striking out 4 to get his 1st save. CF Denny Almonte went 3×3 with 3 runs scored, 2 home runs and 3 RBI to extending his hitting streak to 8 games. It was his 2nd multi-home run game of the season (last: 4/21 at Huntsville). 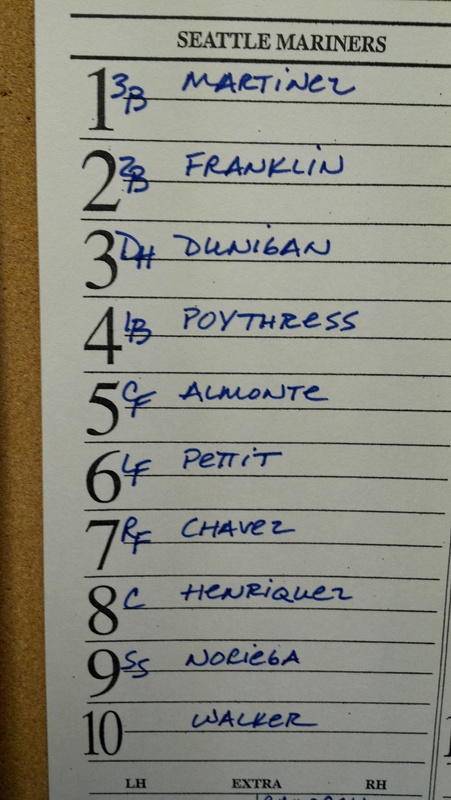 LF Joe Dunigan (2×4, 2 R, 2B) also recorded a multi-hit game, while DH Johermyn Chavez(1×4, 2B, 3 RBI) recorded a 3-run double in the 4th inning. WHO’S HOT? : In 5 starts this season, James Paxton is 2-0 with a 3.09 ERA (8 ER, 23.1 IP). He has limited opponents to a .212 (18×85) average, while walking 16 and striking out 31. 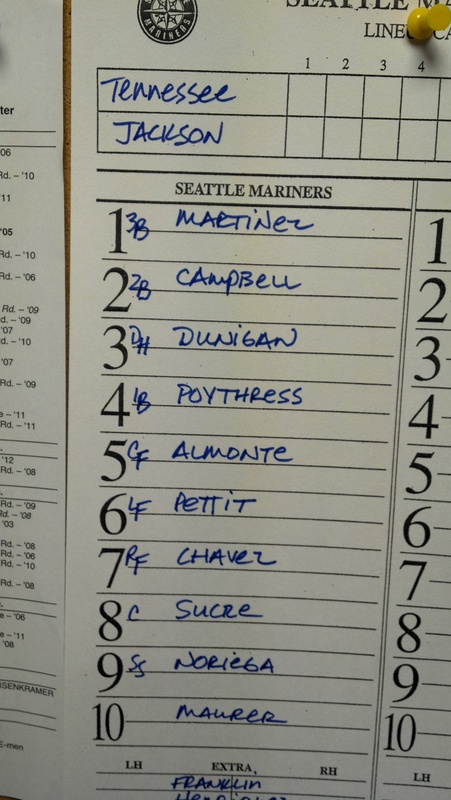 He currently leads the leads all Mariners farmhands with 31 strikeouts, while ranking 4th in the Southern League. Denny Almonte currently has an 8-game hit streak, while also hitting safely in 11 of his last 13 games. During the last 13 games he is batting .460 (23×50) with 8 runs scored, 3 doubles, 6 home runs and 13 RBI. During this stretch he has raised his season average from .179 to .359. Rich Poythress extended his hit streak to 10 games, batting .359 (14×39) with 8 runs scored, 5 doubles, 1 home run and 9 RBI. LH Brian Moran (10.0) and RH Moises Hernandez (8.1) have yet to allow a run this season. DOMINATING THE LEAGUE: The Generals pitching staff has struck out a league-best 206 batters so far this season and also lead the league with a 2.44 ERA. TODAY’S GAME:The Generals host the Tennessee Smokies tonight for game two of a five-game series at Pringles Park, with Jackson leading the series 1-0 and season series 4-2. The two teams will meet a total of 24 times during the 2012 season, including 10 times in Jackson. GENERALS RECAP: – RH Andrew Carraway allowed 1 run on 5 hits in 5.0 innings as Jackson beat Tennessee 5-1 on Wednesday night. Carraway became the first General to 3 wins. LH Brian Moran (1.0,0,0,0,0,1), RH Yoervis Medina (2.0,0,0,0,1,1) and RH Stephen Pryor (1.0,2,0,0,0,3) combined for 4.0 shutout innings out of the pen. The Generals sent 8 men to the plate and jumped out to a 3-0 lead in the bottom of the 2nd inning with RBI from LF Chris Pettit (1×3, R, RBI), SS Gabriel Noriega (1×4, RBI) and 3B Francisco Martinez (1×4, RBI, BB). After Tennessee brought in a run in the 4th inning, Jackson picked up solo homers from C Jesus Sucre (1×4, R, HR, RBI) in the 6th and DH Joe Dunigan (1×4, R, HR, RBI) in the 7th to take a 5-1 advantage. 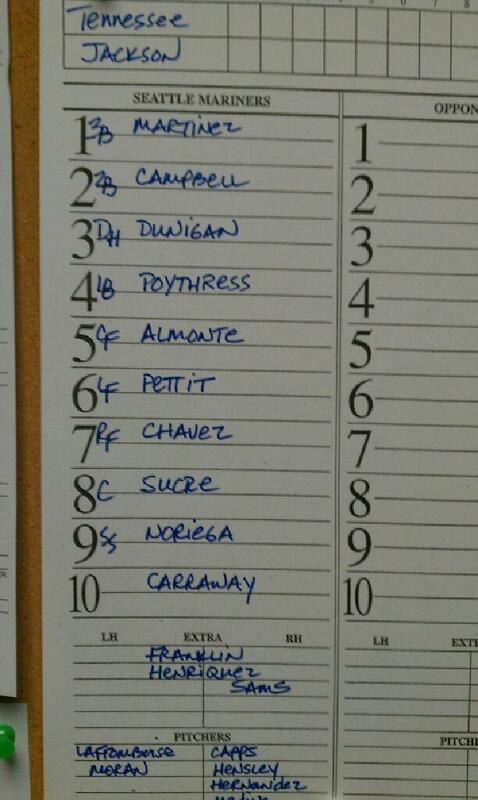 CF Denny Almonte led the Generals with a 3×4 night, extending his hitting streak to 7 games. Rich Poythress (1×3, R, 2B, BB) went 1×3 extending his hitting streak to 9 games. WHO’S HOT? : In 5 starts this season, Andrew Caraway is 3-0 with a 2.63 ERA (8 ER, 27.1 IP). He has limited opponents to a .252 (26×103) average, while walking 4 and striking out 23. Nick Franklin, who had a day off yesterday, has recorded 3 consecutive 3-hit games and extended his hit streak to 6 games. During the streak he is batting .464 (13×28) with 4 runs scored, 3 doubles, 1 home run and 4 RBI. Denny Almonte currently has a 7-game hit streak, while also hitting safely in 10 of his last 12 games. During the last 12 games he is batting .426 (20×47) with 5 runs scored, 3 doubles, 4 home runs and 9 RBI. During this stretch he has raised his season average from .179 to .333. Rich Poythress extended his hit streak to 9 games, batting .371 (13×35) with 7 runs scored, 5 doubles, 1 home run and 8 RBI. LH Brian Moran (10.0) and RH Moises Hernandez (8.1) have yet to allow a run this season. DOMINATING THE LEAGUE: The Generals pitching staff has struck out a league-best 185 batters so far this season and also lead the league with a 2.58 ERA. The next best is Mobile with a 3.22 ERA. TODAY’S GAME: The Generals face off against the Tennessee Smokies at Pringles Park tonight in game one of a five-game series. The two teams squared off two weeks ago (April 10-14 in Kodak, Tenn.) with the Generals winning the first three games before dropping the final two contests. 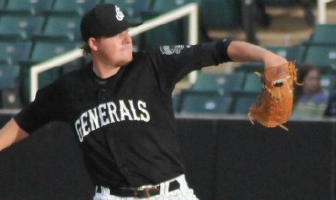 GENERALS RECAP: – LH Danny Hultzen tossed 5.2 scoreless innings as Jackson recorded a 8-1 win over Huntsville on Tuesday afternoon and clinched their 4th straight series to open the season. The Generals collected 14 hits including 6 doubles and now have a 3-game lead in the Southern League North Division. Hultzen allowed only 2 singles while walking 3 and striking out 5 to earn his 2nd straight win. He currently leads the team with 25 strikeouts on the season. RH Moises Hernandez threw 1.1 scoreless innings and extended his scoreless streak to 8.1 to open the season. SS Nick Franklin (3×6, R, 2 2B, 3 RBI) recorded his 3rd consecutive 3-hit game, while 3B Francisco Martinez, (3×3, 3 R, RBI, 3 BB, SB) who reached base safely in 6 plate appearances, and LF Chris Pettit(3×4, 2 2B, RBI) also tallied 3 hits for the Generals. WHO’S HOT? : After recording a loss in each of his first to starts, Danny Hultzen is 2-0 with 12.0 scoreless innings. He is currently 2-2 with a 2.08 ERA (5 ER, 21.1 IP) in 4 starts. Hultzen has limited opponents to a .122 average (9×74), while walking 11 and striking out 26. He currently leads the Southern league in lowest opponent average (.122), while also ranking 3rd in WHIP (0.92), T3rd in strikeouts (26) and 5th in ERA (2.08). Nick Franklin has recorded 3 consecutive 3-hit games and extended his hit streak to 6 games. During the streak he is batting .464 (13×28) with 4 runs scored, 3 doubles, 1 home run and 4 RBI. Denny Almonte has hit safely in 9 of his last 11 games, batting .395 (17×43) with 5 runs scored, 3 doubles, 4 home runs and 9 RBI. During this stretch he has raised his season average from .179 to .310. Rich Poythress extended his hit streak to 8 games, batting .375 (12×32) with 6 runs scored, 4 doubles, 1 home run and 8 RBI. LH Brian Moran (9.0), RH Moises Hernandez (8.1) and LH Steve Garrison (4.1) and have yet to allow a run this season. TODAY’S GAME:The Generals play the rubber game of the five-game series this morning at Joe Davis Stadium in Huntsville against the Stars (Brewers). The matchup features the team with the best batting average, (Huntsville .283) and best ERA (Generals, 2.66) in the Southern League. GENERALS RECAP: – Jesus Sucre knocked in two runs in the top of the 10th inning Monday, helping Jackson to a 6-4 win over the Huntsville Stars (10-9) at Joe Davis Stadium. Sucre delievered the bases loaded single scoring Eric Campbell and Johermyn Chavez in the top of the 10th inning. Gabriel Noriega followed with a single that scored Chris Pettit to give Jackson a 6-3 edge. The Stars tallied a solo home run from Lee Hydel in the bottom of the 10th inning to make the final score, 6-4. Carter Capps (1-1) picked up the win for Jackson allowing a run on one hit, striking out three. Eric Marzec (1-1) suffered the loss for Huntsville. Nick Franklin collected three hits for the second straight day and was 3-for-5 on Monday. Francisco Martinez drove in a pair of runs and was 3-for-4 with a triple. Rich Poythress and Johermyn Chavez notched two hit performances in the 6-4 victory. WHO’S HOT? : Nick Franklin extended his hitting streak to 5 games, batting .455 (10×22) with 1 home run and 3 runs. Denny Almonte has hit safely in 8 of his last 10 games, batting .400 (16×40) with 5 runs scored, 3 doubles, 4 home runs and 8 RBI. During this stretch he has raised his season average from .179 to .313. Rich Poythress extended his hit streak to 7 games, batting .400 (10×25) with 5 runs scored, 3 doubles, 1 home run and 7 RBI. LH Brian Moran (9.0), RH Moises Hernandez (7.0) and RH Jandy Sena (5.2) have yet to allow a run this season. Every day you are around Taijuan Walker you get more and more impressed by him. He is off to a great start in 2012 on the mound. Walker is 2-0, with a 2.25 ERA to open the season. He has 21 strikeouts in 16 innings. HERE IS THE ENTIRE INTERVIEW I DID WITH TAIJUAN WALKER. Walker, 19, is ranked by MLB.com as the No. 18 prospect in baseball and No. 8 right-handed pitcher. listed by Baseball America as the Mariners No. 1 prospect. Taijuan is mature beyond his years and honestly, if we were pitching in the majors right now, he would be fine. Most scouts compare him to Dwight Gooden and he would be the first 19-year-old since “Doc” to do it. I think he will get his chance in 2012 at the major league level. 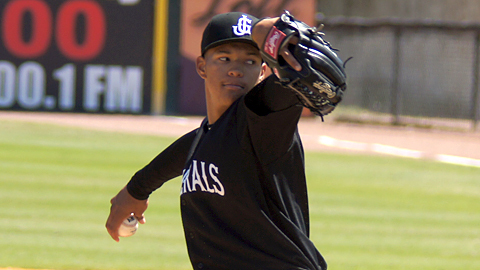 The most amazing thing you hear about Taijuan is that he did not start pitching until he was a senior in high school. Some of that is true, but he had pitched a little bit his sophomore year and been around baseball for a while. He had an opportunity to play college basketball, but I think he made the right decision to go the baseball route. Stuff wise, he is dominating the Double-A level. Most hitters at this level can hit a fastball. Yes, Walker gave up a home run on Sunday, but it was wind aided and most of his fastballs that are located correctly are un-hittable. His curve ball is outstanding and the change up is getting better everyday. Sure, he will go through some growing pains at some point, but for him it might just be a three-run game sometime. The only righty starter that compares to Walker is Michael Pineda. He is a phenom and Mariners fans will get to see him in Safeco very soon. TODAY’S GAME:With the Stars leading the series 2-1, the Generals play game four of their five-game road series at Joe Davis Stadium against the Huntsville Stars (Brewers). The matchup features the team with the best batting average, (Huntsville .291) and best ERA (Generals, 2.61) in the Southern League. GENERALS RECAP: – For the second time in three days, Huntsville walked off with a win against Jackson (11-7). The Stars’ Scooter Gennett homered to right against Steven Hensley in the bottom of the ninth, giving Huntsville a 3-2 win. The Generals remain in first place by a game over Huntsville (10-8) still boast the league’s best record at 11-7. Jackson starter Taijuan Walker allowed just two runs on four hits, walking three and striking out six Sunday afternoon. Walker left the game after five innings with a no decision. 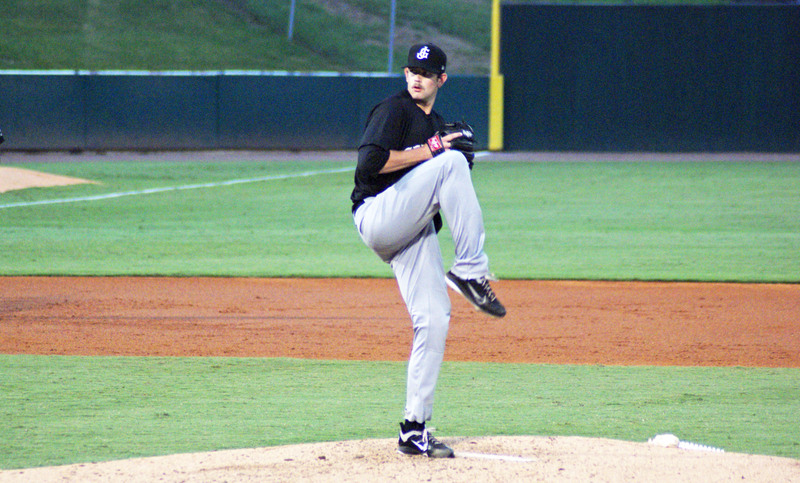 Reliever Brian Moran struck out four over two innings behind Walker. Nick Franklin led Jackson at the plate going 3-for-5 and Eric Campbell was 2-for-4 with an RBI. Rich Poythress was 1-for-3 with an RBI and upped his current hitting streak to six games. WHO’S HOT? : Denny Almonte has hit safely in 7 of his last 9 games, batting .417 (15×36) with 5 runs scored, 3 doubles, 4 home runs and 8 RBI. During this stretch he has raised his season average from .179 to .313. Rich Poythress extended his hit streak to 6 games, batting .348 (8×23) with 4 runs scored, 3 doubles, 1 home run and 6 RBI. LH Brian Moran (9.0), RH Moises Hernandez (7.0) and RH Jandy Sena (5.2) have yet to allow a run this season. DOMINATING THE LEAGUE: The Generals pitching staff has struck out a league-best 170 batters this season and also leads the league with a 2.61 team ERA. The next closest is Mobile with a team ERA of 2.97. 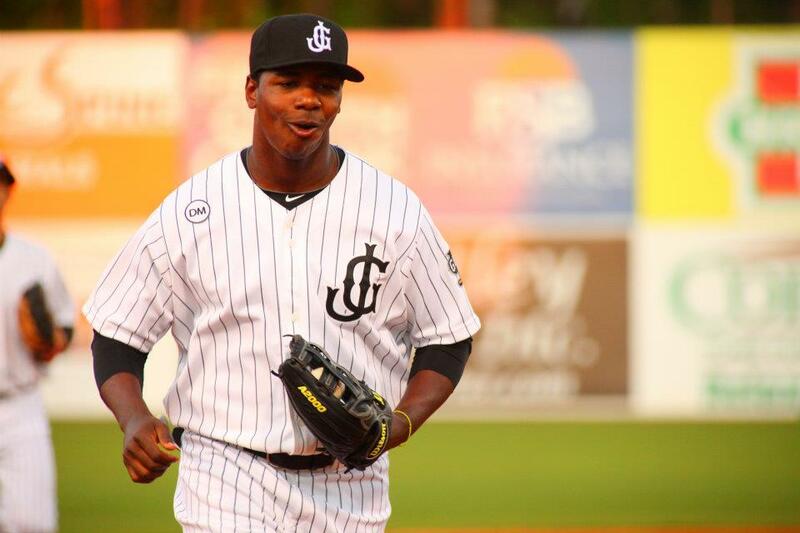 OH MY DUNIGAN: This past week Joe Dunigan led the Southern League in homers (4), extra base hits (7), and total bases (25). This week Joe batted .457 (10×28) with 3 doubles, 4 home runs, 7 RBI and 2 stolen bases. TODAY’S GAME:With the series tied 1-1, the Generals play game three of their five-game road series at Joe Davis Stadium against the Huntsville Stars (Brewers). The matchup features the team with the best batting average, (Huntsville .290) and best ERA (Generals, 2.57) in the Southern League. GENERALS RECAP: – The Generals won a slugfest over Huntsville Saturday night at Joe Davis Stadium 11-8. The Generals (11-6) collected a season high 15 hits and blasted four home runs. 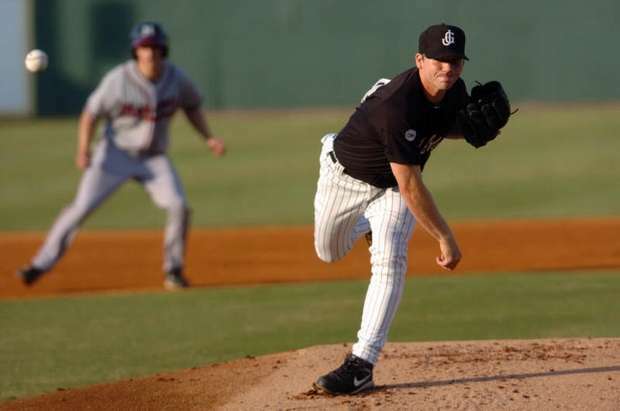 Jackson tied the series at a game each and boasts a Southern League best record of 11-6. Jackson leads Huntsville (9-8) by two games in the North Division. Denny Almonte and Joe Dunigan combined to go 7-for-10 with two doubles, four home runs, five runs and eight RBI’s. Almonte was 4-for-5, with two homers, a double three runs and four RBI. Dunigan also homered twice and finished 3-for-5 with a double and four RBI. Rich Poythress and Kalian Sams recorded two hits each Saturday. General’s starter James Paxton was lifted after 2 1/3 innings. Paxton surrendered seven runs on seven, walking five and striking out one. The Jackson bullpen of Jandy Sena, Yoervis Medina (1-2) and Stephen Pryor combined to toss 6 2/3 innings and give up just one unearned run. Medina earned his first win of the season tossing a scoreless sixth and seventh inning. Huntsville’s Bradley Blanks suffered the loss. Trailing 7-4 in the fourth inning Jackson plated seven runs over the final six frames to win the second game of the series. The Generals scored runs in every inning except the first and fourth frames. The game featured 19 combined runs and 28 combined hits. PERFECT GAME AGAINST MARINERS: Philip Humber went 9.0 innings with 0 hits 0 runs and 0 walks for the 3rd perfect game in Chicago White Sox history (last: Buerhle 7/23/09… it was the 13th perfect game in American League history and the 21st perfect game in Major League history… Humber threw the fewest pitches (96) in a perfect game since David Cone (88 on 7/18/99). It was the first perfect game against the Mariners and just the third no-hitter against the Mariners.